Last night was the first night I went out to the city. I met up with a group of Pinoys who are visiting Melbourne from Canberra. It was funny how they’ve seen more of the city than I have. Must venture out from the libraries sometime. Melbourne still looks beautiful. Remember visiting it back in 2003 and loving it! 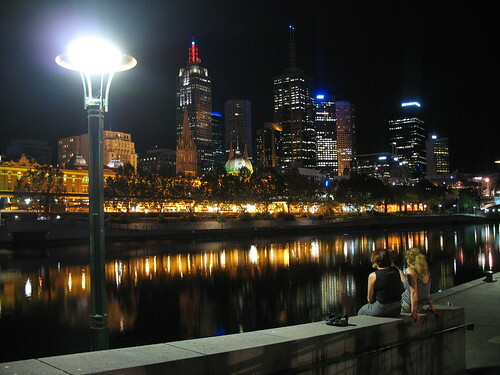 What a lovely photo… at first glance I thought it was Brisbane. Remember a similar view looking over the river in Brisbane towards that huge casino they have.